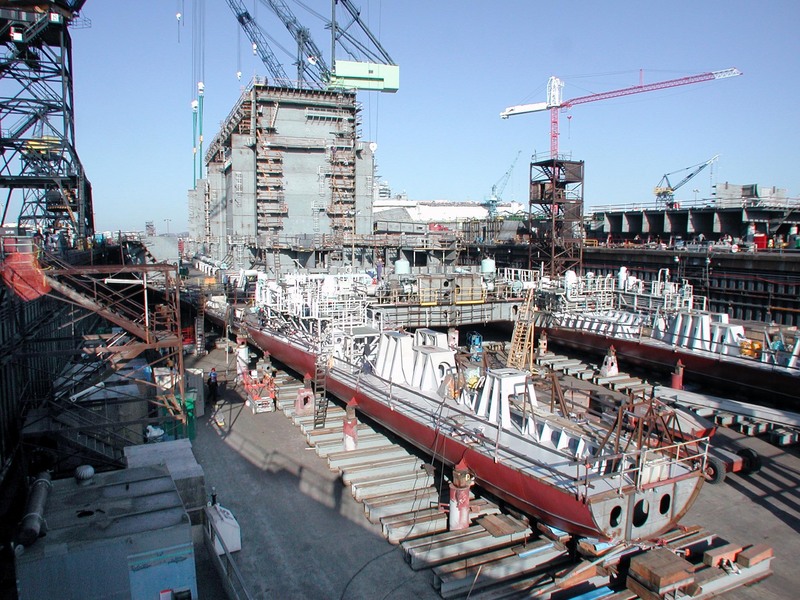 In September 2000, NASSCO received a $630-million contract from BP for the construction of three state-of-the-art, double-hull tankers for the carriage of crude oil from Valdez, Alaska, to BP’s U.S. West Coast refineries. In September 2001, BP exercised an option for a fourth ship. The ships’ design places strong emphasis on environmental safety and redundancy. In addition to a double-hull, the ships have twin diesel-electric propulsion systems in segregated engine rooms, two propellers and twin rudders. Diesel-electric power was chosen because of its low emissions and reliability. Seawater rather than lubricating oil cools the propeller shafts, and cargo piping is installed in the cargo tanks instead of on deck to reduce the chance of accidental oil spills. The ships incorporate the latest proven technology in ship navigation and cargo and machinery control systems. The 185,000 DWT double-hull ships have a length of 287 meters (941 feet) and a beam of 50 meters (164 feet). Capacity is approximately 1.3 million barrels of oil at a design draft of 18.5 meters (61.5 feet). The first ship, the Alaskan Frontier, was delivered in August 2004; the second ship, the Alaskan Explorer, in March 2005; the third ship, the Alaskan Navigator, in November 2005; and the fourth and final ship, the Alaskan Legend, was delivered in August 2006.